The biggest take that I have learned from my recent Hajj (Muslim Pilgrimage) experience is not to cut corners in life and to be patient and follow things through in its entirety without missing the essence and blessings of that experience. Hajj is a journey of a lifetime that our Prophet Muhammad (pbuh) took about 1433 years ago. Every single Muslim that performs Hajj is fulfilling the 5th pillar of Islam and following in his footsteps. 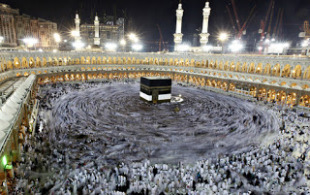 However, many people do not realize the importance of Hajj and are not always mindful of sticking as close to the Sunnah (the way of the Prophet pbuh) as possible.